In a line-up dominated by South American style, European export and Dutch legend Clarence Seedorf wins our latest poll. The former AC Milan and Real Madrid man secured over 47 per cent of your vote, while Samuel Rosa finished in second spot. Real Madrid have closed the 2011-12 fiscal year with income totalling €514 million, a seven per cent growth compared to the previous period. This is the highest figure earned by an international sports institution, and los Blancos have become the first club to surpass the €500 million barrier in the sports industry. Members’ contributions, from both annual membership and tickets, account for 9.5% of the total income. Madrid’s net earnings are €24.2m, which is 23.3% less than in the previous period. This decrease is put down to increased costs arising on the security front, changes in tax regulations, hedging of contingencies and risks derived from the evolution of the economic context, as well as increased amortisation expenses from investments made. However, the club’s net debt has still dropped by 26.5%, to €124.7m. 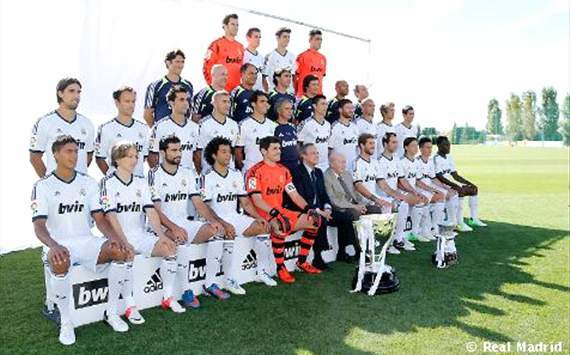 Estimated income for the 2012-13 campaign is €516.6m, with net earnings of about €24.4m. Sevilla welcome back midfielder Diego Perotti from injury for Saturday’s clash with Real Madrid at the Ramon Sanchez Pizjuan. But the Andalusian outfit are set to be without Jose Antonio Reyes, who missed the goalless draw at Rayo Vallecano with a shoulder problem. Goalkeeper Diego Lopez returns from suspension, while French midfielder Geoffrey Kondogbia may be given his debut. Real Madrid have no fresh injury concerns, with the suspended Fabio Coentrao being the only absentee. Cristiano Ronaldo is expected to start despite his apparent dissatisfaction with the Madrid hierarchy. Los Rojiblancos have lost their last seven meetings with Real Madrid in all competitions. Sevilla’s last home win over Real Madrid was a 2-1 success in La Liga in October 2009. Real Madrid have scored 12 goals in their last two visits to the Ramon Sanchez Pizjuan. The Castilian side’s 2-1 defeat at Getafe ended a 17-match unbeaten run away from home in La Liga. Cristiano Ronaldo (pictured right) has netted eight goals in his last three encounters with Sevilla. Real Madrid captain Iker Casillas has moved to quash rumours suggesting that Cristiano Ronaldo is unhappy in the Spanish capital. Speculation has been rife since the Portugal international revealed that he was “sad” after Real’s last league game with Getafe. 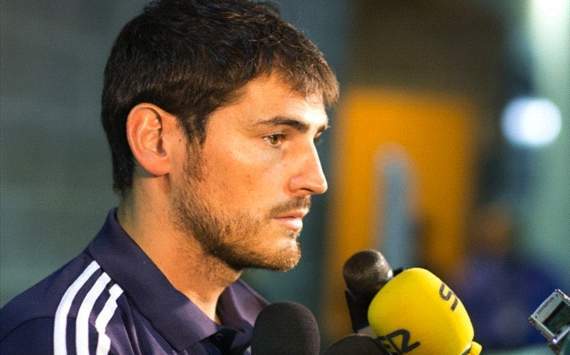 However, Casillas does not believe there is a problem and that everyone at the club is content. “There has been no issue. 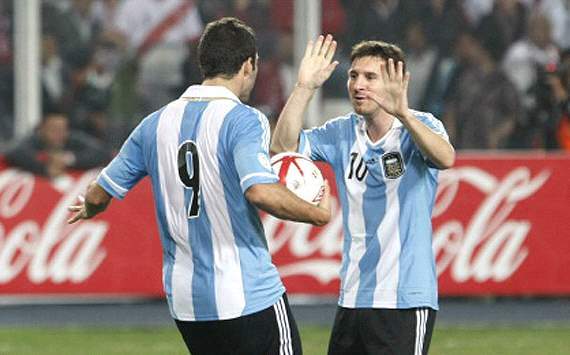 Everyone left for their national teams to play elsewhere this week,” he was quoted by AS. “I arrived at training at 4.15pm and there was no meeting [between Ronaldo and Jose Mourinho], there was nothing out of the ordinary. Cristiano was normal. We have to be focused on the Sevilla match, we cannot drop more points, we have to win. “For Madrid, both as a player and a fan, it is a real pleasure to have Cristiano. And for Cristiano, it is a luxury to wear the shirt of the best club in the world. One of the rumours that circulated as to why Ronaldo could be unhappy was the lack of endorsement from his team-mates for him to win this year’s Ballon d’Or. When asked about his thoughts on the topic, Casillas hinted that Ronaldo may not be the only player who deserves the award. “I think that some players at Madrid deserve it for the great season we have had and for the titles have won,” Casillas added. “There are those who vote following different criteria. Cristiano has been playing at a very high level, but others may also deserve the award too.